Australia 5-450 declared and 0-27 (Ed Cowan 16*, David Warner 8*) lead Sri Lanka 336 (Tillakaratne Dilshan 147, Angelo Matthews 75, Peter Siddle 5-54) by 141 runs. Tillakaratne Dilshan thrashed a ton and ably assisted by Angelo Matthews, he saved Sri Lanka from a follow on as Australia got a comprehensive lead in the match. Australia piled up 450 for the loss of five wickets when their innings was declared and scored 27 without any loss in 14 overs in the second. Sri Lanka struggled initially but managed 336 runs before they were bowled out in 109.3 overs. 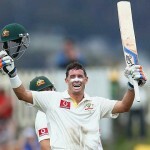 The third day’s play concluded on December 16, 2012, at Bellerive Oval, Hobart. Earlier, the visitors started the day at 4-87 in 29.1 overs, Tillakaratne Dilshan was unbeaten for 50 and Angelo Matthews started the proceedings of the day from the other end. The first hundred of the innings appeared on board in the 34th over and both batsmen preferred to play their natural game as the ball was visiting the fence regularly. Dilshan hit two fours in the 39th over and Matthews followed him with a few boundaries in the later overs. 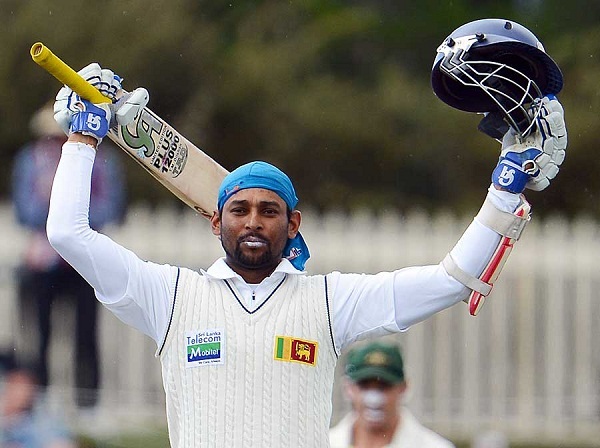 Tillakaratne Dilshan thrashed his 15th Test century on the third ball of the 56th over with a four behind point. 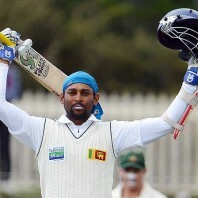 It was a maiden Test ton for Dilshan in Australia and he started jumping with joy after reaching the milestone. The hundred was achieved on 148 deliveries with the assistance of 16 fours. The play was stopped after the 56th over and an early lunch was taken to avoid any time loss. 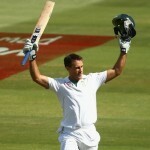 Angelo Matthews dispatched his 11th Test half century on the last ball of the 65th over and the second hundred of the innings was also illuminated on the screen. The duo continued stabilising the innings as the score board kept on moving at a reasonable speed. The sixth wicket partnership contributed 161 runs and lifted the score to 248 when Angelo Matthews was declared leg before wicket off Peter Siddle for 75 from 186 balls with 11 fours. That was the highest Test record of Sri Lanka for any wicket in Australia beating their previous best of 144 runs stand between Aravinda de Silva and Ravi Ratnayeke for the seventh wicket created on December 8, 1989. Prasanna Jayawardene joined in next with Dilshan and the first added 10 runs in the 92nd over with 2 fours. The sixth wicket association discontinued when Tillakaratne Dilshan was clean bowled by Mitchell Starc for 147 off 273 with 21 fours. Prasanna Jayawardene scored a quick fired 40 runs from 56 deliveries with 6 fours as the innings of the Lankan Lions was finally rolled back for 336 runs in 109.3 overs. Peter Siddle was the supreme bowler with five wickets, Nathan Lyon held two whereas Mitchell Starc, Ben Hilfenhaus and Shane Watson shared one wicket each. 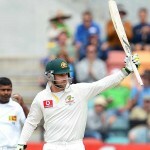 Australia gained a decisive first innings lead of 114 runs as Ed Cowan and David Warner opened the second innings for the home side. Both batsmen tried to save their wickets in the dying moments of the game and did not take any chance against the rival bowlers. The Kangaroos reached 27 without losing any wicket after consuming 14 overs, Ed Cowan and David Warner were at the crease for 16 and 8 runs respectively. Australia is in a commanding position after having a lead of 141 runs with all second innings wickets in hand and Sri Lanka has to do wonders to save the match.